All vaulters must be a member of BEV so that they are protected by the insurance policy that BEV provides. 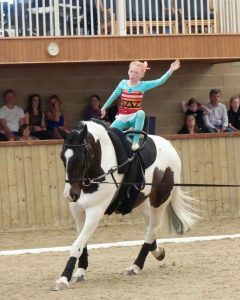 So if you are vaulting with a British Equestrian Vaulting club, then you must be a BEV member so that everyone is protected. There are different types of membership, from adult, youth and associate memberships. Memberships are based on your age and whether you are a competing member or a helper. If you are 16 years or older on the 31st December in the year of renewal, then you need to be an adult member. An adult membership gives you full voting rights and enables members to be nominated as a candidate for the BEV Committee. Many parents, judges and supporters of BEV are adult members, so you don’t need to be vaulting to join. However, if you do vault, then you need to belong to a club. A Youth membership is needed for any vaulter aged 15 years and under on 31st December in the year of renewal. A Youth membership is needed for vaulters who compete. So if you are competing in walk classess, pre-novice, novice, child or junior (provided you are 15 or under) then you need a Youth membership. 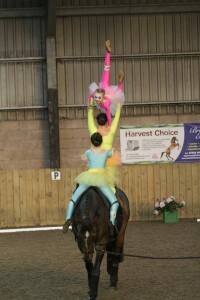 Youth members need to belong to a vaulting club too. This year, the annual membership is £30. There is no age limit to be an associate member. Associate membership covers all non competing members and regular adult helpers. There are no voting rights with this type of membership. This year, the annual membership is £15.